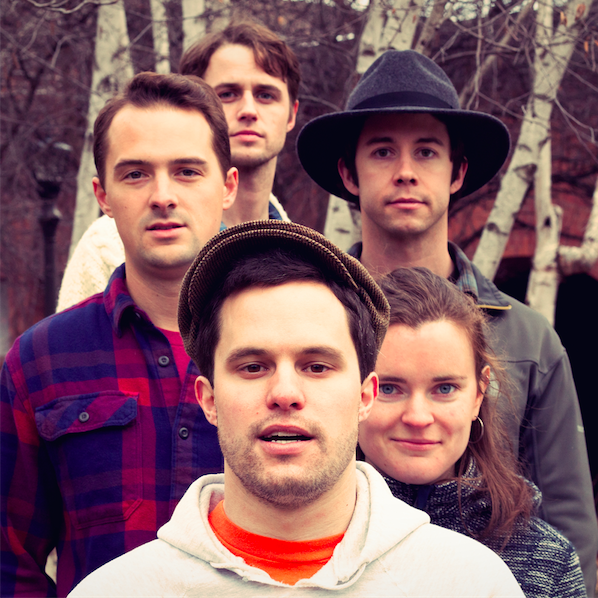 Alternative folk band Kazyak is riding high off of the prospect of the release of their new project Happy Camping. Peter Frey (guitar), Andy Wolfe (guitar), Pat Hayes (synth, piano), Lana Bolin (bass), and Nick Grewe (drums) have developed their own unique indie folk sound rooted in preparation and improvisation. “When I Lived in Carolina” is a testament to this and is one of the singles off of Happy Camping. We’ve got the premiere of the track and its accompanying music video right here. “When I Lived in Carolina” has a Midwestern feel to it, reflecting the band’s roots in Minneapolis, MN. It is a soft folksy song, with all of the traditional elements of its predecessors in place. The melodies and soft strumming of guitars lend the listener’s ears to a relaxing experience, which is something the Kazyak does frequently and have become masters of over time. The video itself is soothing as well, with rough, psychedelic visuals of the band performing layered over gorgeous outdoor landscapes. Kazyak‘s independence has allowed them to flourish into what they are today, and hopefully this momentum that they have created is sustained for years to come. Happy Camping is out July 21st. For more information on Kazyak, you can visit their website at http://kazyak.com/.